QTY 123456789101112131415161718192021222324252627282930313233343536373839404142434445464748495051525354555657585960616263646566676869707172737475767778798081828384858687888990 Please select a quantity. Bring a touch of playfulness to your home dcor with this fun golden pineapple candleholder. 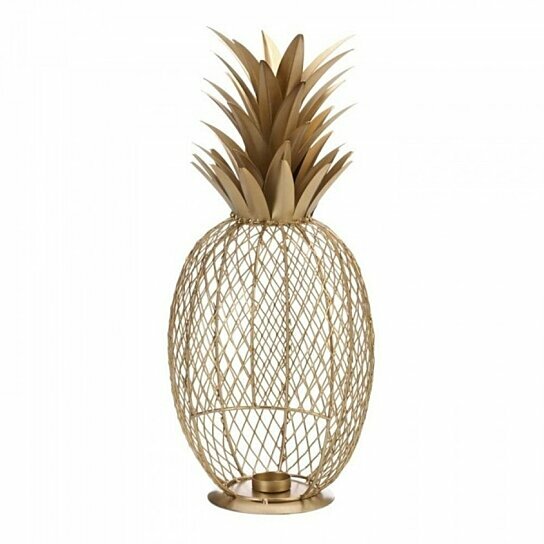 Made from solid iron in a gold finish, this pineapple candleholder features an intricate cage design with a tealight holder inside. Place it in your dining room or living room table for a laidback centerpiece.